Metal body on plastic/metal frame. Cardboard body on metal frame. 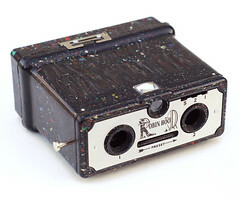 Standard Cameras Limited was a manufacturer based in Birmingham, England. 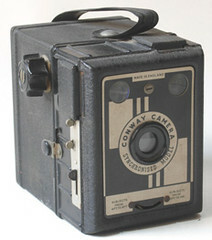 The company made a cheap camera range branded Conway. Most (if not all?) 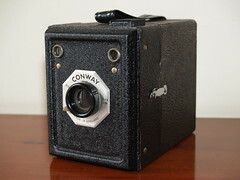 of these Conway Cameras took 6x9cm images on 120 film. The cameras are very similar to (and have interchangeable parts with) some of the Coronet products. 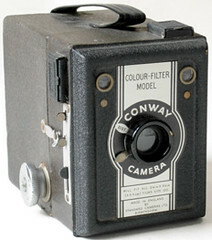 The box cameras have folding covers on the viewfinders (which provided some shade when in use), just like the Coronets. Standard and Coronet certainly had close links, and may have been the same company. Standard Cameras traded between 1931 and 1955. This page was last edited on 11 July 2018, at 20:15.